He was her First Crush and they were each other’s Last Love. Jessie and Lee are both characters who are realistic and down to earth. The plot engaged me and I was invested in the characters and their story. 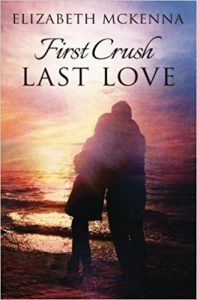 The book started in their teenage years and showed the crush, as well as the love they have for each other as ‘just friends’. Their romance or relationship does not start right away as much as I would have wanted it to. They part ways after graduation. For me the hardest part to read was the story afterwards. Not because I did not like it but because Jessie’s relationship with her ex was not all sunshine. Ten years after high school, both Jessie and Lee came out of these times with a whole lot of pain, lessons and friends, but they matured as well. The author did a great job in engaging me with her characters. The plot was not an overly complicated one, but it’s one that flowed smoothly to the end. I have to mention the best friends of these two. I have questions about them and their own relationship. They sound so great together, I want to know if they ended up together!? First Crush, Last Love transported me back to my teenage years! It was a roller coaster ride of emotions for me and is an easy recommend to other readers.